Six days until Thanksgiving—can you believe it? I’m feeling extra thankful this holiday season. This year has had a lot of ups and downs for both me and Josh, but I think we’re feeling especially grateful for our little family (the two of us and our crazy pups) as we head into this holiday season. I feel so blessed just to have such a happy, chaotic apartment to come home to every night, no matter what else is going on in the world. We’re really excited to be (low-key) hosting Thanksgiving here in NYC this year, so we don’t have to travel. What about you guys—how are you celebrating Turkey Day? Anyway, as always, here’s our round-up of all the pup-related links we read, watched, and bookmarked this week. Wishing you all safe travels and wonderful week with your loved ones! P.S. The cute gear the pups are wearing in the picture above is from Barkley & Pips and all profits from the holiday collection will go to this amazing organization that helps disabled animals. Shop it here. Loving this idea for giving rescue pups a home for the holidays. Laughing through the new trailer for The Secret Life of Pets 2. Dying scoop up the entire Oh Joy! for Petco Collaboration. Image courtesy of Petco / Oh Joy! Thinking we need one of these cute dog advent calendars from Root Pooch Provisions. Plus, get 20% off with code DAPPLE! Appreciating that CB2 is selling a Corgi snow globe this holiday season. Wishing I could afford the chic Moncler x Poldo Dog Couture collection. 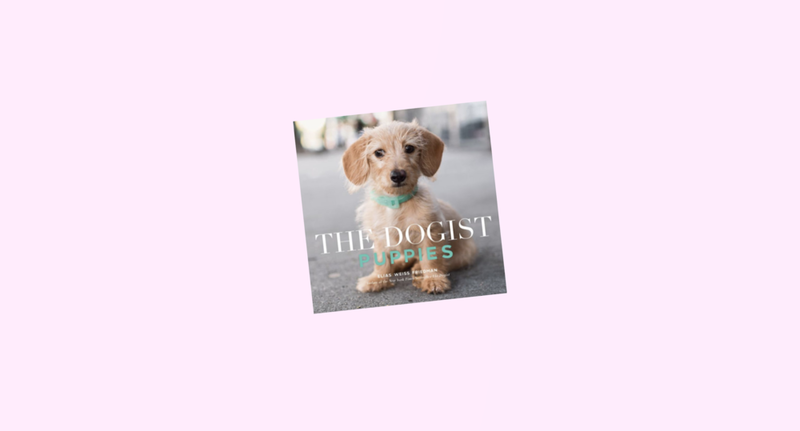 Melting over our copy of The Dogist’s Puppies. Adding Dog and Teepee’s new winter collection to our holiday wishlist. Thinking maybe I need to switch careers after reading this article about professional dog-hikers. There’s something awesome coming to The Dapple next Saturday. Don’t miss it.